The following is part of the report written by the Maryland Department of Agriculture (MDA) Transition Work Group to assist Governor Martin O’Malley’s transition team as it prepared to assume the managerial and programmatic responsibilities of the MDA. 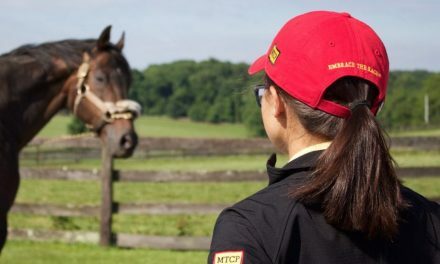 Maryland’s horse industry is an important part of agriculture, with over 65,600 Marylanders directly involved in that sector and 10% of Maryland’s land held by horse breeders and owners. 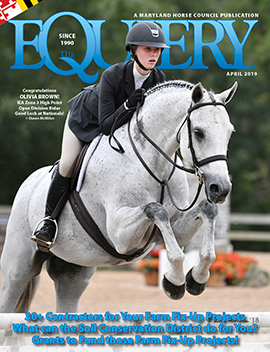 The horse industry in Maryland includes not only the racing breeds of Thoroughbreds and Standardbreds, but other breeds involved in recreational activities, such as Arabians, Quarter Horses, sport horses and smaller pony breeds. The MDA must continue to strengthen Maryland’s horse industry, which produces a total economic impact valued at approximately $1.6 billion according to a 2005 study by the American Horse Council. In order to strengthen and promote the horse industry, we recommend the MDA continue to support the Maryland Horse Industry Board (MHIB), which is funded by the Maryland Equine Feed Assessment. Created in 1998, the MHIB licenses and inspects stables, advises MDA on matters related to the horse industry, supports research related to equine health, promotes the development and use of horses in the state, [and] creates public awareness of the value of equine activities as they relate to the preservation of green space and agricultural land. MHIB has also been involved in promoting the following issues, which are of importance to the entire horse industry in the state: the establishment of a Maryland Horse Park and Agricultural Education Center; establishing a federally certified international import/export facility for equines near BWI-Thurgood Marshall Airport; creating a public notification system in time of equine emergency (bio-security issues); and the availability of regional animal health diagnostic laboratories and reasonable fees for [the] necropsy and disposal of equines. The establishment of the Maryland Horse Park and Agricultural Education Center (MHP) would generate an estimated 1,500 jobs and $122 million in economic impact to the state each year, according to a 2006 feasibility study performed by the Maryland Stadium Authority (MSA). 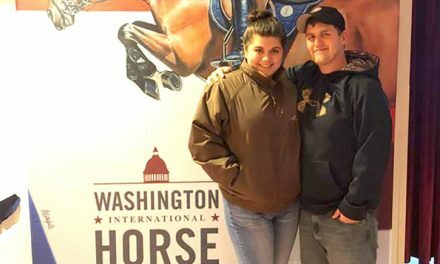 Support for the MHP is strong throughout the horse industry and the MSA. The new administration should support legislation to authorize the MSA to use already budgeted funds to construct the facility, and should work to facilitate necessary transportation and infrastructure improvements in the area selected for the horse park. Although the Maryland racing industry will benefit by the activities of MHIB, additional steps are necessary by MDA in order to counter the loss of horses and racing to other states that are using slots to subsidize racing. In particular, Department of Labor, Licensing and Regulation (DLLR) and MDA should consider the possible transfer of authority to administer the Maryland Bred Race Fund to MDA to encourage the overall promotion of Thoroughbred and Standardbred breeding in the state. In addition, MDA should consider creating a new incentive fund to promote the raising and breeding of horses in the state. The monies from the incentive fund would support individuals who breed and raise horses as an agricultural activity. The incentive fund could be funded with some type of industry-generated sales tax revenue, lottery monies, or revenue from a horse license plate. MDA leadership needs to continue to work closely with the Maryland Horse Breeders Association and other groups to ensure that issues related to the horse industry are given proper attention, including several proposed bills for the 2007 General Assembly session that impact the horse racing industry that will need careful monitoring and support. RECOMMENDATION: Ensure that issues of importance to the horse industry are given careful attention, especially legislation authorizing the construction of the Maryland Horse Park (MHP), continued support of the activities of the MHIB, establishing a federally certified international import/ export facility for equines near BWI-Thurgood Marshall Airport, and continued support of the racing and breeding industry. NextWhat Can the MHIB Do for You?